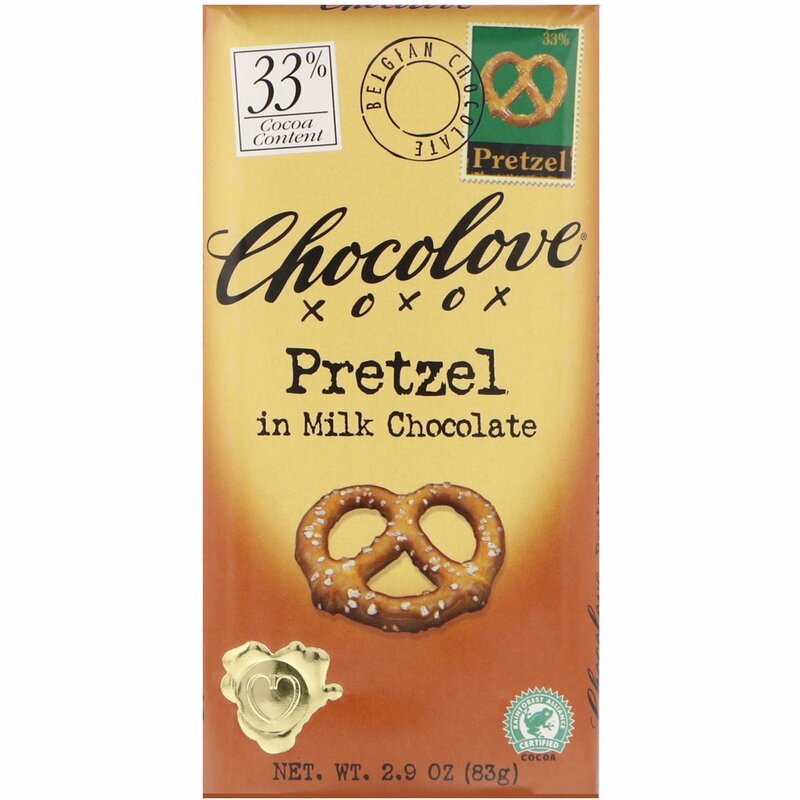 Who knew chocolate and pretzels could taste so good? Crunchy bits of salty pretzel sticks contrast with creamy milk chocolate to make for a yummy taste treat. Spaniards have been eating bread and chocolate for years. Enjoy! Milk chocolate (sugar, cocoa butter*, milk, cocoa liquor*, soy lecithin, vanilla), pretzels (organic unbleached wheat flour, salt, organic soybean oil, organic malt). 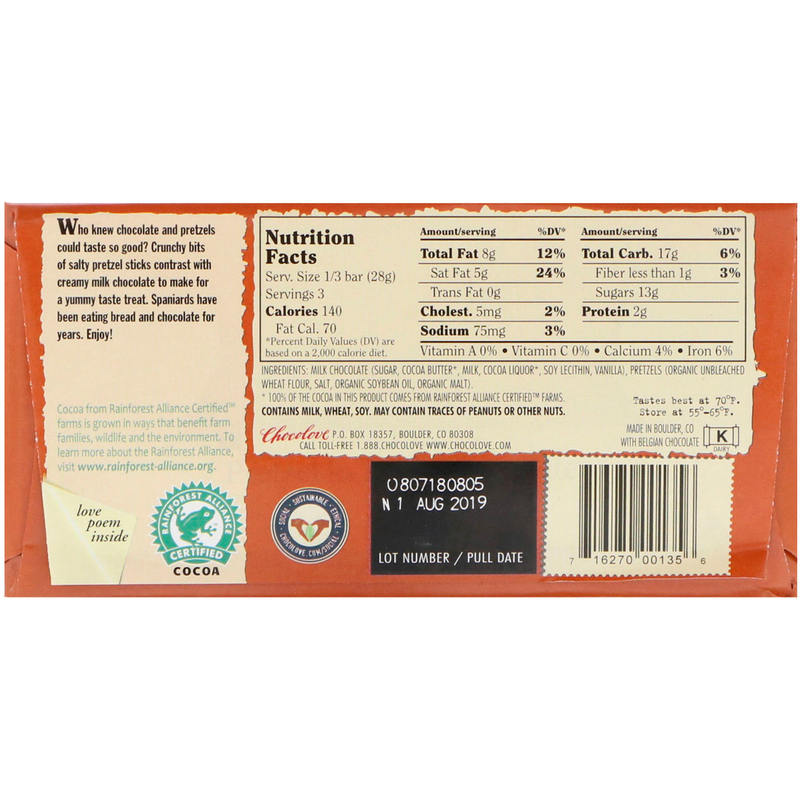 *100% of the cocoa in this product comes from rainforest alliance certified farms. Contains milk, wheat, soy. May contain traces of peanuts or other nuts.